In our sermon today, Peter continued on his series of sermons providing an overview of the Bible, and discussed the assumptions made about the Old and New Testaments, and the Authorship of the Bible. 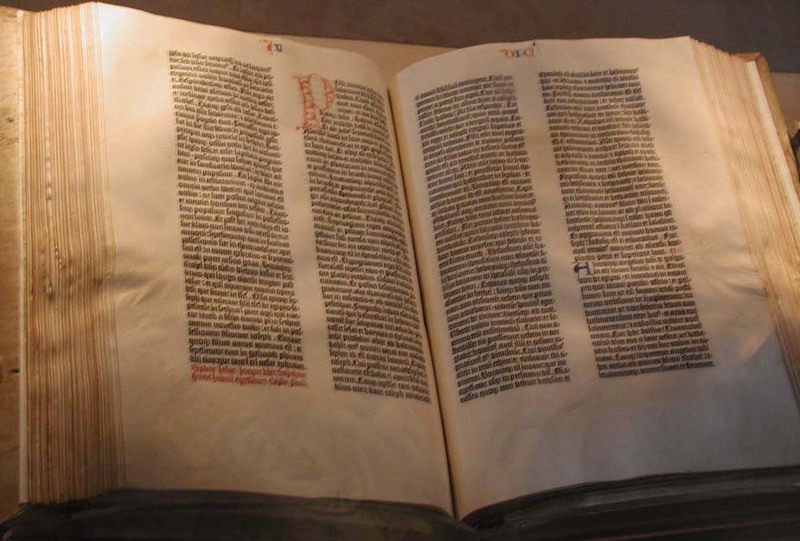 The Gutenberg Bible. Photo taken by Mark Pellegrini. To listen to this sermon online, please click on the player below. Alternatively, right click on this link to download the sermon to your computer.